This second volume about Japanese World War II destroyers continues Mark Stille’s excellent work. Once again, the book provides many details about when the Japanese built the vessels, the changes implemented, and ultimately what happened to the ships. 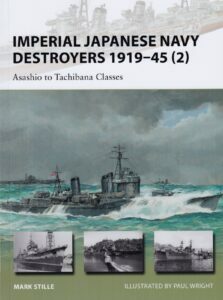 As with the first volume, the author explained how the Japanese chose to ignore the London Naval Treaty that limited the number and size of ships that its signatories could build. Although Stille says that he did not repeat information from Volume 1 on tactics, weaponry, and sensors, he does inform readers about the changes that occurred to the destroyer classes noted in this book. Volume two covers seven new classes of destroyers built in the middle of World War II. 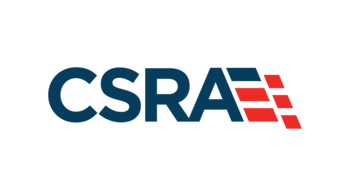 These vessels benefited by the experiences of the earlier designs with greater speed, firepower, and the latest radar systems. Of the destroyer classes discussed in this volume, the Kagero was the most modern of the Japanese fleet. It had heavier gun and torpedo armaments, becoming the centerpiece of the destroyer force. They compared favorably to the destroyers of the United States and Great Britain. Several of these vessels escorted Yamato, as well as aircraft carriers into battle. Among Yamato’s escorts, Yukikaze, the most famous of the Kagero class, served from Midway to the Dutch East Indies and from Leyte to the Bismarck Sea. She survived the war and was surrendered to the Kuomintang where she served until 1966 when the Chinese scrapped her. After the Kagero class came the Yugumo class, the elite unit of Japanese destroyers. Representing only slight improvement from the Kagero group, nineteen destroyers of the Yugumo design were completed. They had improved radar and a larger number of depth charges. Most of the Yugumo vessels served from 1943 until the end of the war. The best design of the destroyers was the Akizuki class that finally separated the engine and boiler rooms in order to prevent potential damage in case of attack. Interestingly enough, as the destroyers became more sophisticated, they also became simpler in design in an effort to build the ships more quickly. Stille once again provided charts of every destroyer that included information about when they were laid down and what fate they encountered. In Volume 1, Stille noted that many of the earlier destroyers served as repatriation ships, but that 42 of the 63 later ships noted in Volume Two were sunk by air or surface attack. Thirty vessels of the classes discussed in Volume Two survived the war to be surrendered to American, British, Nationalist Chinese, and Soviet forces. Sometimes these great destroyers became targets for post-war naval practice. Beginning in 1956, Nashi of the Tachibana class, served in the post-war Japanese Maritime Self Defense Force until 1972. Once again, Stille did not discuss how the ships resupplied themselves or how sailors were rescued when their ships were damaged or sunk. The Japanese called for many dozens of destroyers to be built from the early 1930s to 1945, but as the war progressed, the cancellations of ship orders must have become obvious to workers and to the communities surrounding the facilities. 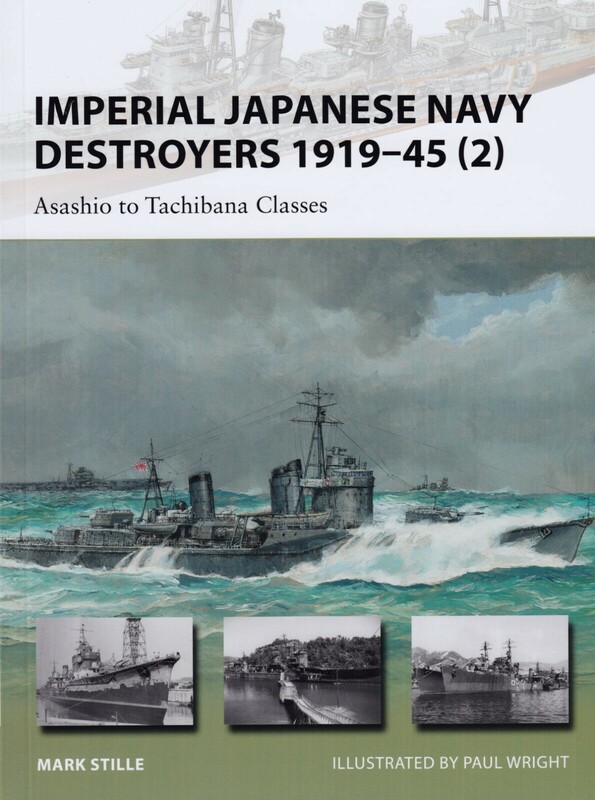 Although not in the scope of this book, it would be interesting to read why Japanese ship builders felt about the cancellations and whether or not they sensed that the Japanese Imperial Navy was not winning. 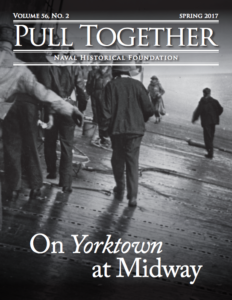 The drop in ship orders coincided with a narrowing of Japanese naval operations, which reflects the pushback by the United States Navy as the war progressed. As in Volume 1, Paul Wright provided excellent illustrations that permitted even those unschooled in warship design to understand the changes for each class of destroyer. A brief bibliography, in lieu of footnotes, is provided for readers in case they wish to pursue further research. Dr. Ahmed teaches at the Missouri University of Science and Technology at Rolla, Missouri.